Practice makes perfect. Growing a large garden has a steep learning curve. If you are not currently growing any food, but instead have a “survival seed bank” stored in the closet waiting for the time it is needed, you will probably fail at growing any meaningful amount of food in a time of crisis. The time to learn about gardening is not after society collapses but right now. No matter where you live and no matter what your circumstances are, you can grow something where you live. Attend some local gardening courses, find a gardening club, and read some good books on the topic. One of the best books I’ve found, that covers gardening from preparedness perspective, is The Resilient Gardener: Food Production and Self-Reliance in Uncertain Times. Instead of buying a pre assembled survival seed bank, build your own. This is extremely important, and let me tell you why. Most of these prepackaged kits have poor germination rates and haven’t been handled or stored properly. They are also sold to you on the promise of growing so many “pounds of food”. Instead of worrying about pounds, you should be worried about calories. 5000 lbs of food sounds impressive but how much of that is greens or other low calorie food? Often the packages include wheat, but if you look closely you will notice that this means one packet of wheat seed. Do you have any idea what an insignificant drop in the bucket one packet of wheat seed will grow? The other problem with these seed collections is that they are a “one size fits all” selection of seeds. If you live in northern NY, that packet of 200 day corn isn’t worth a thing. Learn what zone you are in, when your first and last frost dates are, and what people historically have grown in your area. Choose a reputable seed company and carefully pick your varieties. Assemble a seed bank with seed that will germinate, will mature in your zone, and that you will like to eat. Remember to include high calorie staple crops that produce high yields. In a SHTF scenario, gas will be in very short supply. Relying on mechanized tillage won’t do. 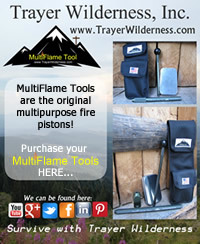 You are going to need and be able to use traditional hand tools. If a broadfork, trowels, and several quality hoes are not in your possession, gardening is going to be tough. There is a lot of talk about no-till gardening these days. No-till gardening, like the Back To Eden method, require large amounts of mulch every year. In a post-SHTF world, having dump truck loads of wood chips delivered to your door is just not going to happen. No-till gardening is a wonderful thing but I’m not sure that it will work well after a collapse. Even if you can procure large amounts of mulch, the first year of this type of garden is seldom easy or productive. If you plan to use this method, I would advise getting it established ahead of time and have a stockpile of mulch for the future. Tillage does not have to be what we as moderns think of when we think “tillage”. Some things need very prepared seed beds, but some crops can be grown with just a little soil disturbance. The best advice I can give is to experiment with different “off-grid” tillage methods now, before it becomes a life or death situation. Everyone says they are going to save seed. Very few of those people know very much about actually saving seed. Are the plants annual or biannual? What types of plants can cross pollinate with others? What are the isolation distances needed? Are the plants pollinated by wind or insects or are they self-pollinated? Do the seeds require fermentation to make them viable? If you don’t know the answers to these questions you should read some good books on the topic. Seed saving is not rocket science but it isn’t as simple as most people think. The very best resource for seed saving is the book Seed to Seed by Suzanne Ashworth. This book has all the information you need to successfully save seed that is true to type and viable. Another excellent resource is Breed Your Own Vegetable Varieties: The Gardener’s and Farmer’s Guide to Plant Breeding and Seed Saving. If you really want to understand plant genetics and to improve your vegetable varieties over the long haul, this book is indispensable. Any good survival food production plan should include fruit and nut trees, perennial plants, and shrubs. These plants require very little attention after they are established and produce every year without having to plant anything. It is also worth mentioning that these plants not only produce food but also produce other material resources. For example, the Bayberry Shrub produces berries that can be rendered into candle wax. Here are some resources that might be helpful in incorporating perennials into your survival garden plans. Gardening after the collapse will require gardening systems that produce their own fertility. There won’t be petrol-fertilizers or other commercially available supplements and band aids. The very best way to produce fertility for your food production program is by using animal manure. Chickens and rabbits are a great solution for the small scale homestead. Composting plant materials and food scraps along with manure is the easiest way to recycle nutrients and capture them before they have a chance to leave the system. Using nitrogen fixing plants can help fertilize other plants around them as they capture nitrogen from the air. Plants like Comfrey are “dynamic accumulators”, which draw up minerals and micro-nutrients from the subsoil. Their leaves can be cut and dropped around other plants and used as a fertilizer. The book Integrated Forest Gardening: The Complete Guide to Polycultures and Plant Guilds in Permaculture Systems has a lot of helpful information on using the symbiotic relationships of plants to your advantage. Growing lots of food is one thing. Preserving it so that it can be consumed later is another thing altogether. 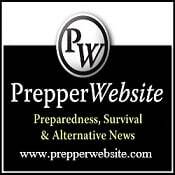 In a post-SHTF world, certain criteria must be addressed. Any preservation method that does not require grid electricity, such as freezing or refrigeration is fair game. I plan to write an entire article on this subject but in the meantime, here is list of equipment and resources that might be helpful to you. The All American Pressure Canner is my favorite canner because it has no rubber gasket to replace. Tattler Reusable Canning Jar Lids make canning a much more viable way to preserve food in a post-collapse world. Its sometimes stuff like birds and grubs that will assure you have no harvest too!